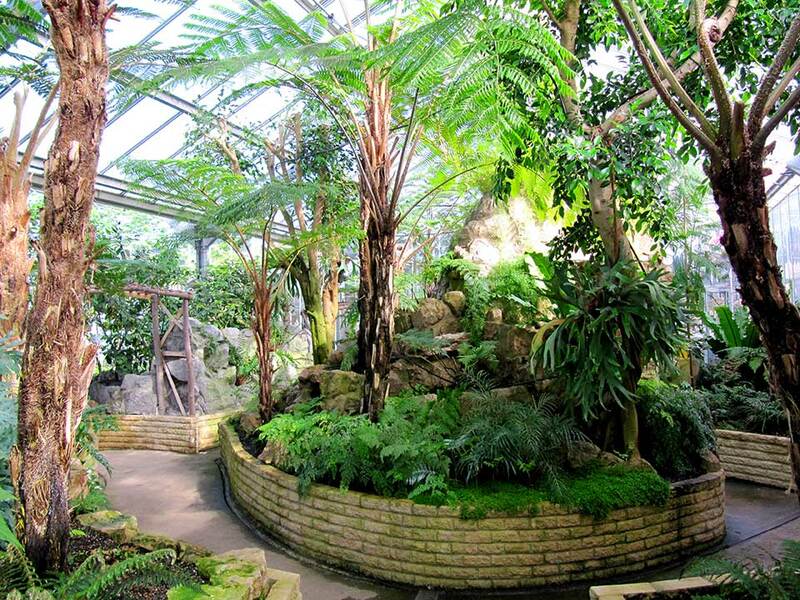 Enter the plant houses under a full size replica of the Iguanodon fossil discovered in the Sussex Weald in 1834 and step into the desert zone which is home to an amazing array of cacti and succulents from the American and African continents. Pass into the second plant house and discover our unique collections of bromeliads, Mediterranean fruits and Australian flora. Stroll along pathways and pause to view the amazing variety of plants that grow in these warm temperate regions of the world. Enter the oriental style garden, home to a beautiful collection of colourful Koi carp, before embarking on the next part of your visit in the main Paradise Gardens. Experience the sights and sounds of prehistoric times on the Dinosaur Safari! The reign of the dinosaurs has always been one of the most enthralling periods of the Earth’s history. 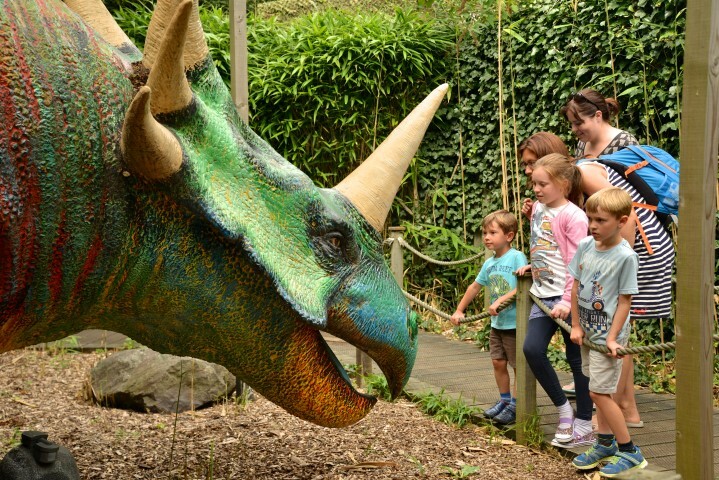 The Dinosaur Safari is an exciting collection of full size replica prehistoric creatures from marine animals to fearsome predators. Journey through the dinosaur garden if you dare, but make sure you aren’t seen by one of the huge dinosaurs who may be looking for their tea! The charming gardens are Newhaven’s hidden secret with several small lakes, waterfalls and fountains that make one of the finest water gardens in Sussex. The gardens are a mixture of formal and informal in a wide variety of styles with ponds that contain thousands of fish that you can feed during spring and summer. Pause for reflection at numerous seating points or maybe take a break at the Coffee Shop before resuming your tour. 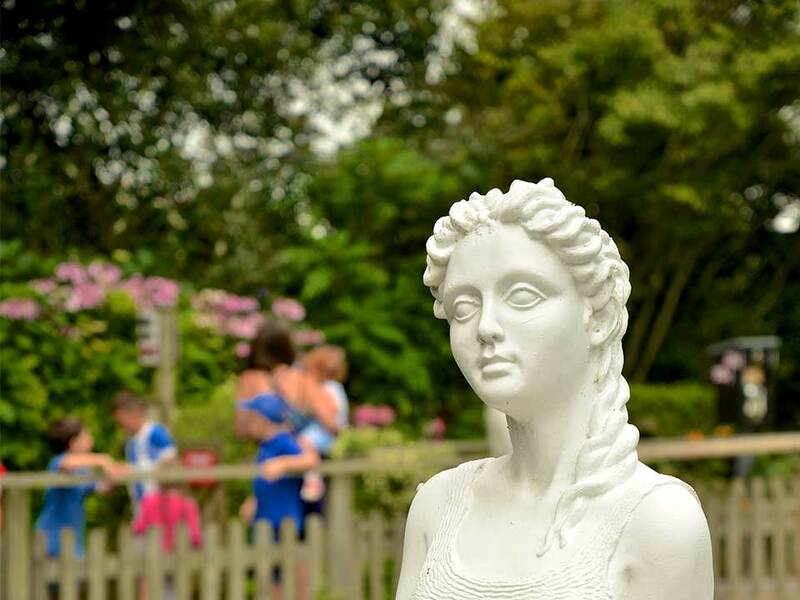 The Sussex History Trail meanders through the gardens with hand-crafted models of Sussex landmarks that have survived, often for hundreds of years, to remind us of our exciting past.